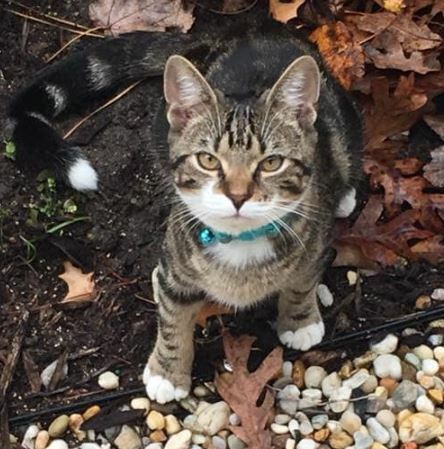 An indoor/outdoor cat is lost in the Bay Creek area. The cat’s name is Lilly and lives in the Hollies section. She has white legs and a purple collar, which could have fallen off. If you see her, please call (347) 410-4431.